9am-3pm on the 3rd Sunday of the month and on occasional public holidays. Enjoy the fantastic array of arts, crafts, clothing, jewellery, collectables, produce and much more. 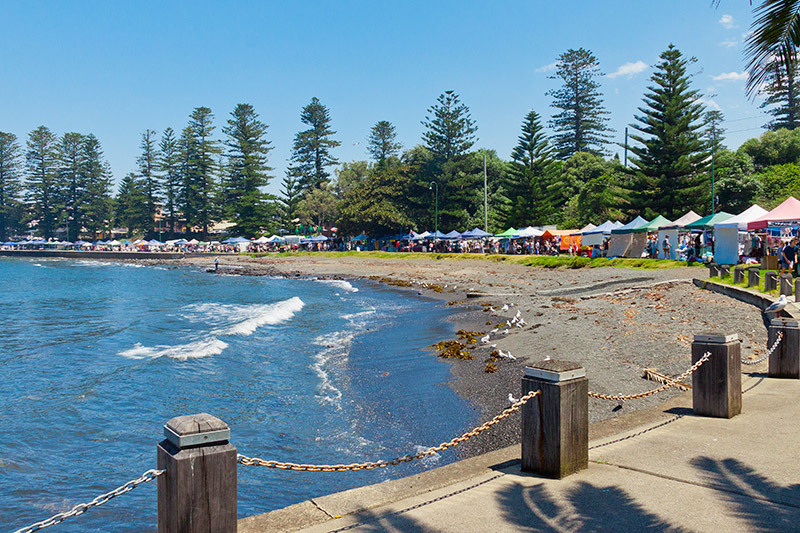 Browse over 100 stalls whilst enjoying the beautiful background scenery of Kiama harbour. A great shopping experience for the whole family, right in the heart of Kiama.